(MONTREAL, QUE.) 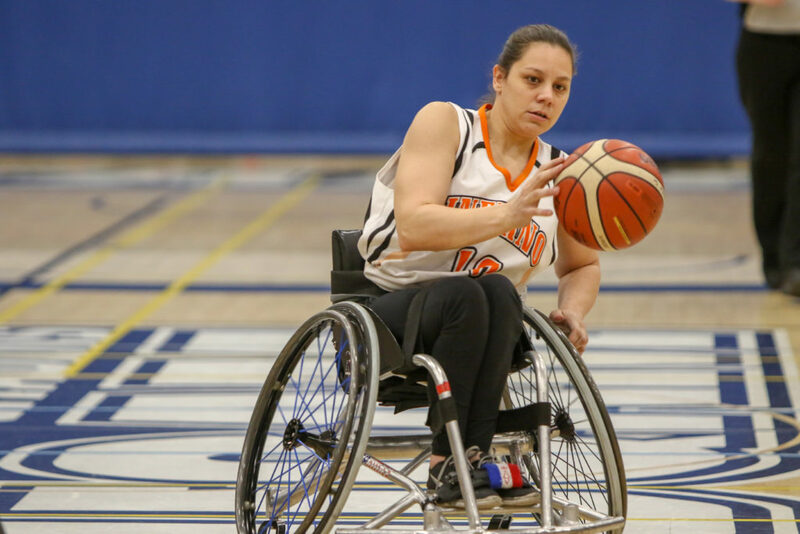 The championship final is set with a rematch between the defending champion Edmonton Inferno and reigning silver medallists from host Quebec as both teams enter the gold medal tilt with spotless records (3-0) at the 2019 Canadian Wheelchair Basketball League (CWBL) Women’s National Championship in Montreal. Championship Sunday kicks off with Saskatchewan and the B.C. Breakers squaring off for bronze at 9 a.m. ET, followed by the gold medal showdown between Quebec and Edmonton at 11 a.m. ET at the Centre sportif at the Université du Québec à Montréal (UQAM). Fans can catch the games live on the Parasports Québec Facebook page and check out the full schedule and final results at wheelchairbasketball.ca. Quebec dispatched of Saskatchewan 64-44 in the semifinals on Saturday. The team from la Belle Province set the tone early with a 22-point output in the opening quarter and never looked back. “We won the game with our defence and we will need that in the final. We’re a really small team so our focus is on applying pressure and that’s what will win a championship for us,” said Lalonde, who delivered a strong two-way showing with 17 points and five defensive boards for Quebec. The Inferno overpowered the B.C. Breakers 67-49 in the other semifinal. While the depth of the Inferno proved to be too much for the Breakers to handle, Edmonton also had their hands full trying to contain B.C. player Kady Dandeneau (Pender Island, B.C. ), who had 28 points and was second only to the Inferno’s Arinn Young (Legal, Alta.) who led all scorers with 30 points. Edmonton anticipates another seesaw battle in the final against Quebec. The history between the two teams has been filled with many tight contests in recent years. Ontario defeated the Calgary Rollers 46-36 in the final game Saturday to finish in fifth and sixth place, respectively.